We are one of North and North West London’s most established, quality removals and storage companies. As well as our careful household removals service, we also offer packing services, containerised storage, self-storage and a commercial moving service. We carry out both large and small moves locally, nationally and internationally. Click here to see us at work. As you may expect from a family run, independent company, our reputation is very important to us. Since our beginning in 1969 we have always strived to exceed our customers’ expectations and we are proud to have built a fantastic customer base whereby approximately 70% of our instructions come to us via recommendation or repeat custom. Our staff are trained, uniformed professionals and they are certainly our greatest asset and best advert. To ensure that we maintain excellent standards we monitor every move via a customer questionnaire. We are very proud of the results (96% rate our service as “Excellent”) and we invite you to inspect them at any time – for every job we have done over the last 12 months. 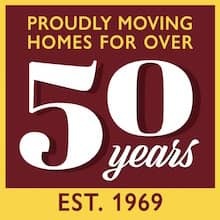 We’ve been moving families and businesses in North / North West London and Southern Herts since 1969 and we know that moving home or office can be a stressful experience. However, by providing our clients with fully trained and experienced removals crews that have a “can do” attitude, we believe we can reduce this stress for our clients. We operate a fleet of specialist removal vehicles varying in size from 18 ton to 3.5 ton so we’ll have the right vehicle to suit your move. We use and supply only top grade packing materials and our teams carry all the necessary trolleys, blankets and equipment needed to complete your move without incident and on schedule. 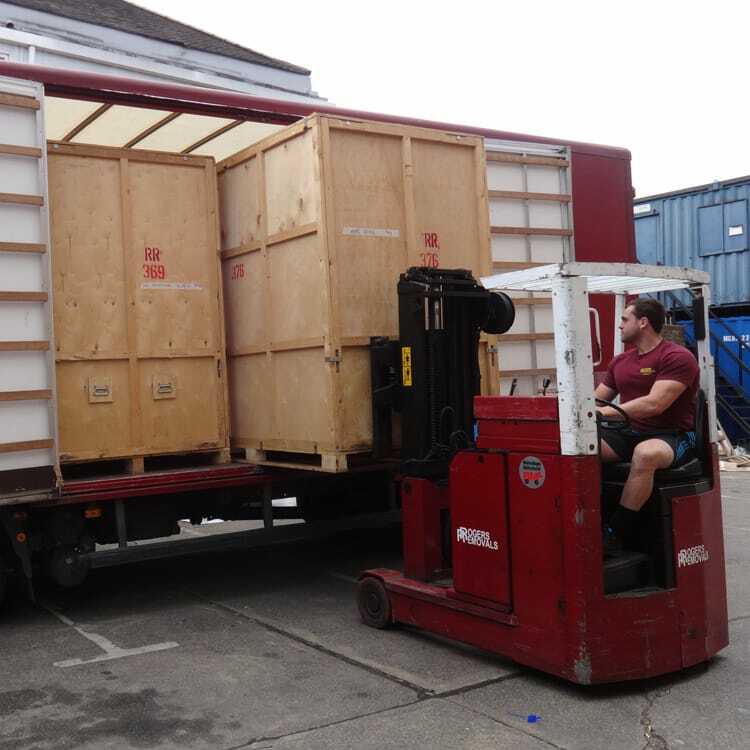 Storage is a speciality of ours and we offer our clients safe and secure containerised storage at our own North London warehouse. Our storage rates are highly competitive (especially if compared to local self storage facilities) and our system of loading each storage unit at our clients homes is efficient and cost effective. Our brick built containerised storage warehouse is very secure and is fully fitted with a modern CCTV system and a fully monitored RedCare alarm system. As with most things, preparation is crucial to a successful move. We offer our clients a range of packing services to suit their needs. With our Full Packing Service option you can sit back and let our team of expert packers pack and prepare your move fully. 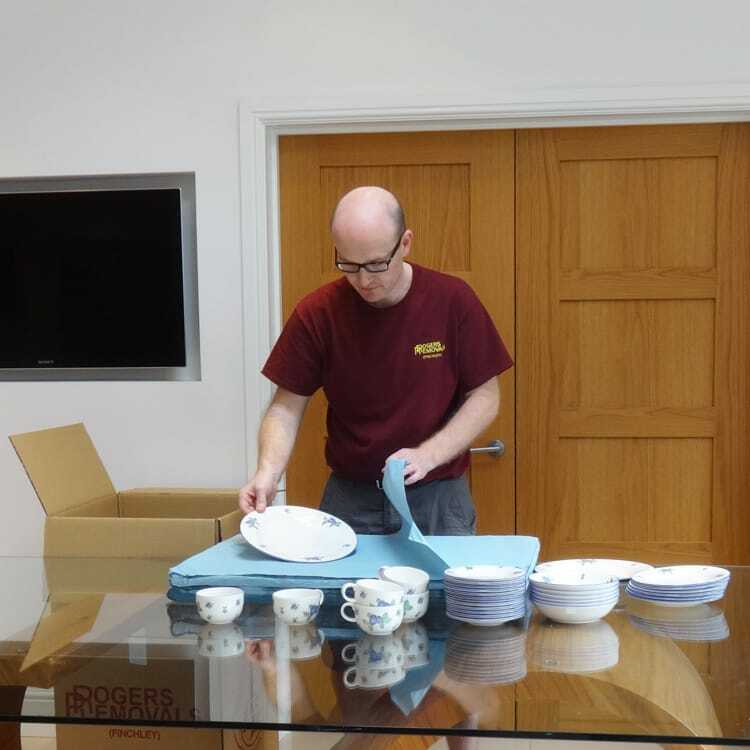 Alternatively, with our Part Packing option you can ask us to only pack specific items for you such as your best glass and china. If you choose our Owner Packing option we can deliver quality boxes, tape, bubble wrap and packing paper for you in advance of your moving day. We’ll also offer advice on how to pack (click here to see our packing advice video).